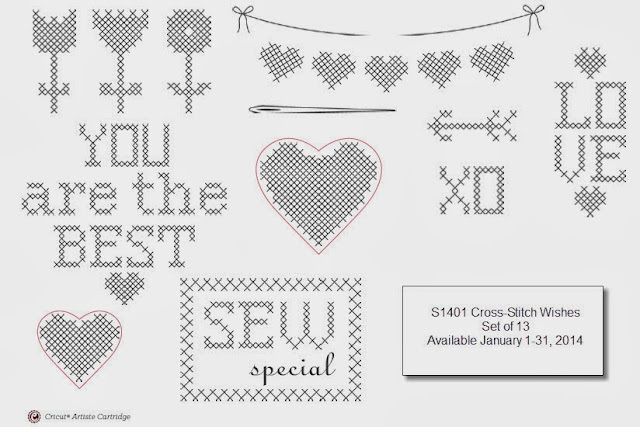 Paper HeARTIST: January's Stamp of the Month..."Cross-stitch Wishes"
January's Stamp of the Month..."Cross-stitch Wishes"
With over 40 participants, you are surely to find wonderful inspiration through this blog hop. It makes a circle so if you are starting here just continue until you make your way back and you will have made it through them all. 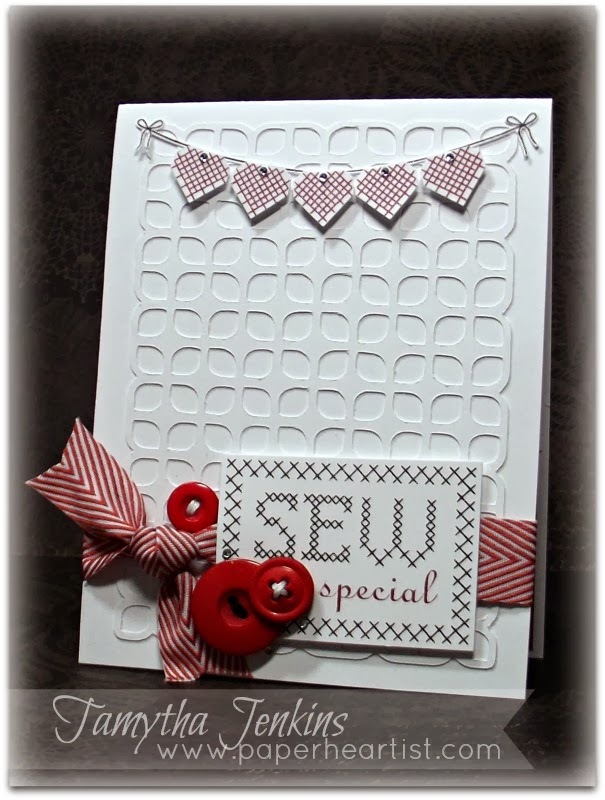 If you have already started and are coming from Dawn Heuft's blog, "Stamp Til Dawn", then you are on the right track. January's stamp of the month brings back memories of one of my first "addicted" hobby...cross stitching. I think back to when I first got married 21 years ago (aaahhhhh...the days before children...when there was less housework and distractions and a whole lot more down time...lol). While my hubby and I were watching tv, I would color. Yes. Color. Like crayola and coloring books. And yes, my hubby made fun of me...some things don't change. Then somehow I discovered cross stitching. Although I can't remember how I came to select cross stitching, I recall that I loved how a colorful x here and a colorful x there ended up creating a beautiful picture in the end. Then...about four years later...I was pregnant with my first child and my friend introduced me to scrapbooking. A year later, in searching for difficult to find scrapbook supplies, I discovered stamping and that was "all she wrote" (as my Granny would say). 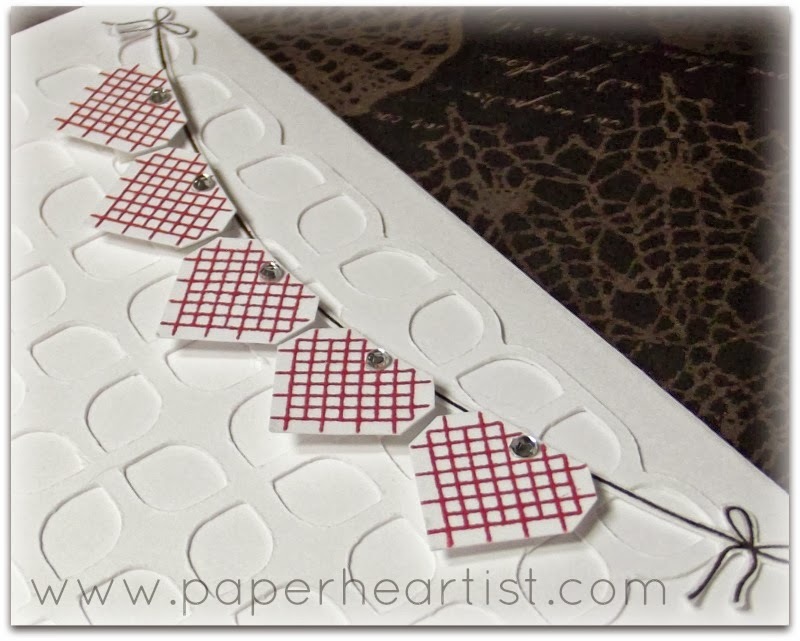 I've been scrapping and stamping ever since. I'm always amazed at how the creative process can work. With this stamp set, I started with the idea in my head after seeing this sketch at Mojo Monday. I began to create my "vision" to only decide that I hated it, so I took my card in a slightly different direction. The final thing I needed to do with my card was decide on an embellishment to go with the sentiment. 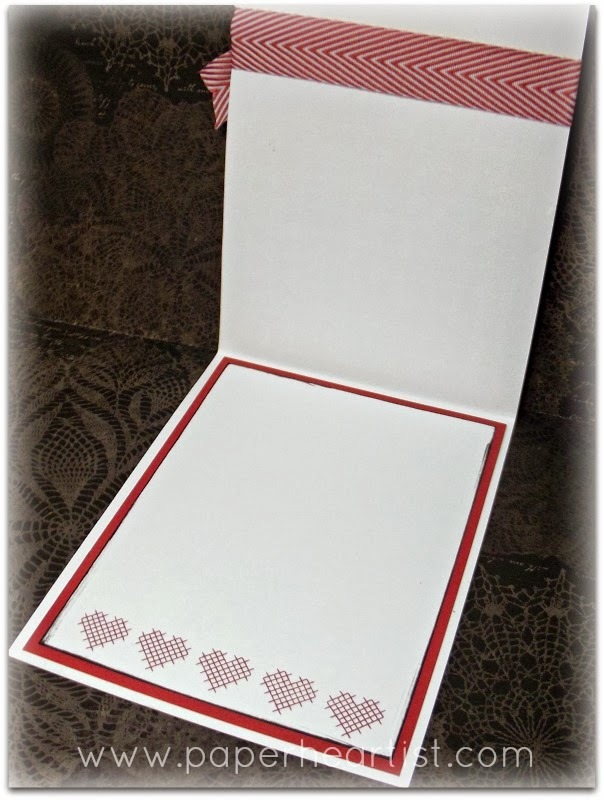 I tried stamping the heart stamp on different colored paper, different arrangements, etc. Yuck! Didn't like it. As obvious as it seems now, it took a little while for me to think "Buttons!". After going through my shameful collection of buttons and adding them to my card, I ended up with a project that I love. If you have time, take a moment or two to check out the rest of my blog. If you enjoy your visit, then please consider "Following Me", signing up to receive blog updates, and/or leaving a comment (we all love comments...the nice ones anyway), then be sure to continue along on the hop by heading over to my insanely creative friend's blog, Jen Patrick's, @ "Roxybonds" and check out her creation. Tamytha, your creations are always fantastic! I do so love this card!! It turned out fantastic! Very nice card! Love the white-on-white overlay and the embellishment cluster. Wow, totally going to scraplift a version of your card and love your crafting story! Wow! this is just stunning! 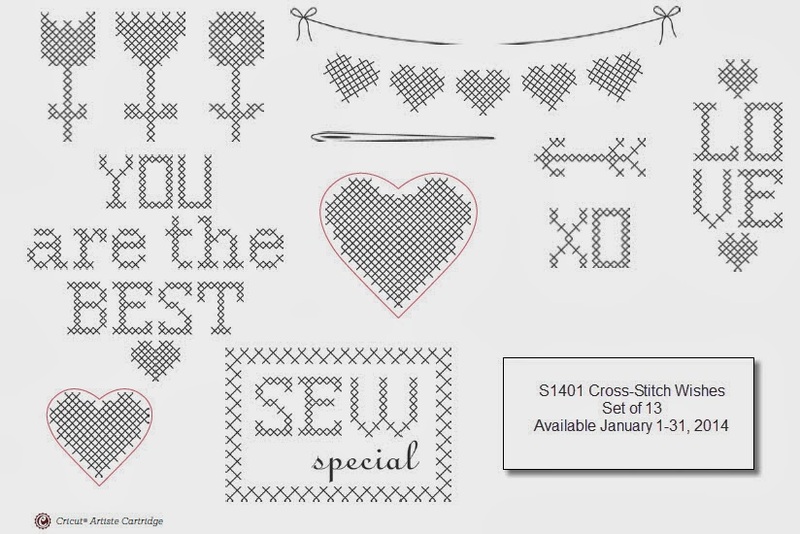 WOW, I know LOVE this stamp set! Thanks for sharing. That's what's great about the blog hop. It really can get our creative juices flowing after seeing all the creative ideas. My customers have actually purchased the sotm after going through the blog hop...even though it originally did nothing for them. WOW this is jaw-dropping GORGEOUS!! Love, love, love the overlay!! 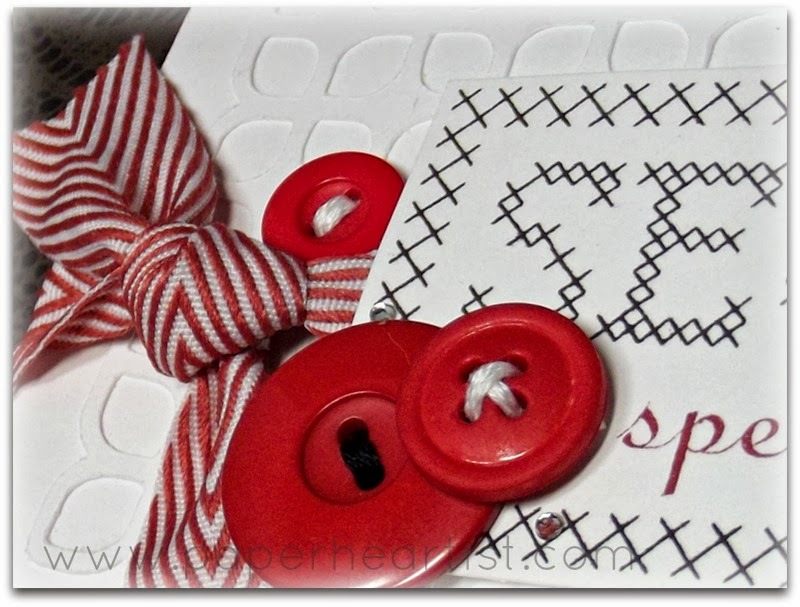 Absolutely stunning and I love the cluster of buttons with the ribbon. LOVE the pop of red and you cluster of embellishments!!!! Wow! Isn't it wonderful what happens when you let go of your vision? I love all the texture and white space. Making red and white your dominant colors with black as the accent is an unusual take on the black, white and red color scheme. Your cluster is really interesting. Really cool card. Wow, love all the details! Which art booking design did you use? Outstanding card. Love every bit of it!! !